Team maintainers and organization owners can determine whether a team is visible or secret. Secret teams are only visible to the people on the team and people with owner permissions. They're great for hiding teams with sensitive names or members, such as those used for working with external partners or clients. Secret teams cannot be nested under parent teams or have child teams. Tip: If a team has child or parent teams, you cannot make it a secret team. 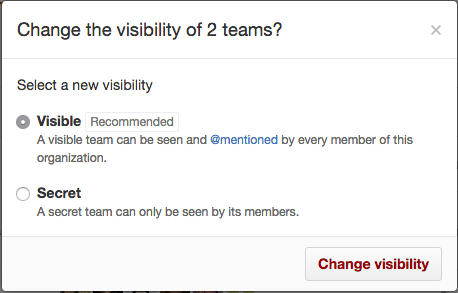 Select the team or teams whose visibility you'd like to change. 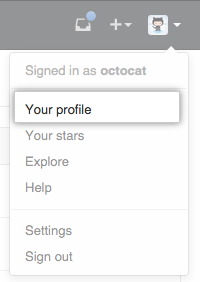 Above the list of teams, use the drop-down menu and click Change visibility. Choose whether to make the team or teams visible or secret, then click Change visibility.